Guy's old master has stepped into the Street Fighter V fray. How does he handle? Shacknews goes hands-on and also takes a look at how the pros are faring with the Bushinryu master. Street Fighter V has wrapped up its second season of DLC characters this week, releasing Bushinryu master Zeku to the masses. 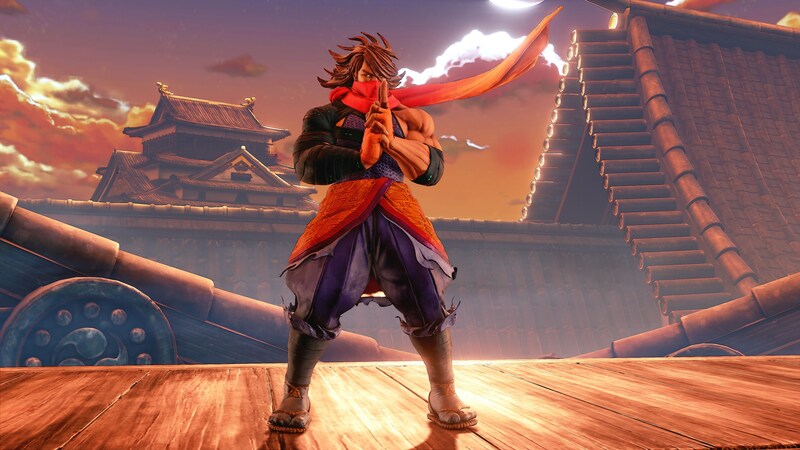 Last seen in Street Fighter Alpha 2 and known mainly for training Guy in the art of Bushinryu Ninjutsu, Zeku quickly garnered interest, particularly because of his distinctly different stances and agile moves. Last time Shacknews stepped into the lab, it was to analyze Abigail and see whether the massive Mad Gear lieutenant could hang in the world of Street Fighter. Zeku is another unorthodox addition, one that Shacknews is looking to break down in a little more detail. Having spent the past day with Zeku, it's hard to imagine him as any kind of enticing option for a casual player. There's a high learning curve, particularly in regards to timing his combos and mastering his dual stances. This is quickly evidenced in Zeku's Trials section, which is extremely strict in regards to timing. Hit the button too early and the opponent will block, but hit it too late and the combo gets dropped. Trying to learn Zeku's abilities through Trials becomes a daunting task in itself. Mastering both of Zeku's stances is essential, since his V-Skill is mainly how players will switch back and forth. 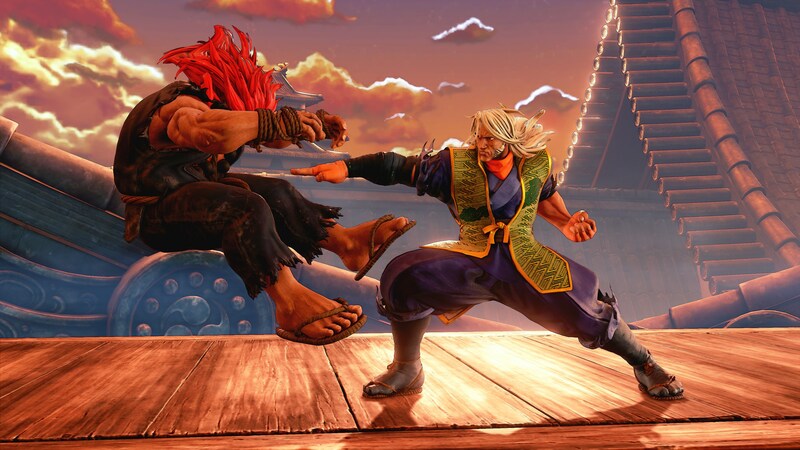 Knowing which moves go with which version of Zeku is critical to keeping combos going and keeping opponents off-balance. It's even more important with his V-Trigger, which adds the rapid dash ability to his arsenal. Add this to Zeku's strict timing requirements and it gives him potential to do major damage, but it's potential that can only be realized with a lot of practice. Casual players should not approach this character lightly and will need to have a lot of patience if they hope to have any success with him. Learning with Zeku means mastering one stance at a time. Old Zeku can keep opponents at a safe distance by using his Bushin Gram - Koku move (quarter-circle forward + kick), with the Roundhouse version of this move offering a surprisingly long reach. The Bushin Gram - Teki (quarter-circle back + kick) is a decent anti-air option on the surface, but didn't help me keep many of my quicker opponents from pounding on me. Again, it looks like timing is everything here. Bushin Jakura (quarter-circle forward + punch) has the potential for some shenanigans, depending on Zeku's follow-up. Ending this with a kick can knock opponents down, but ending with a punch allows for cross-up potential, leaving adversaries open to combos. The trouble with this move is that it's very easy to see coming. Don't get sloppy with this one. Young Zeku likes getting up close and personal. His Bushin Sho (quarter-circle forward + punch) palm strike can knock opponents down, but it's the EX version of the move that can do some serious damage. The EX Bushin Sho will crumple opponents and is great for setting up large combos. Be careful not to go overboard with his Hayagake (quarter-circle forward + kick) forward dash. This allows Zeku to close distances on his opponent quickly and keep the pressure on, but he's entirely vulnerable during the dash. The EX version of the move is much safer, since Zeku will simply teleport towards his target. While casual players may have trouble picking up Zeku, the professional Street Fighter V circuit has had little trouble getting into this character. Here's Patrick "DaFeetLee" Lee just getting downright filthy with Zeku's combo potential. And here he is just doing ungodly things in the corner. Japan's best players have shown what they're capable of with Zeku. Let's take a look at Lee "Poongko" Chung Gon and Yusuke Momochi are able to pour the pressure on using the Bushinryu ninja. More Zeku videos can be found on The BEAST right now. Alright, ShackFighters, how's your Zeku experience been so far? Join the conversation and let us know in the comments.